A luxury activity watch for those who live for their chosen discipline, but it’s too focused for the weekend warrior. 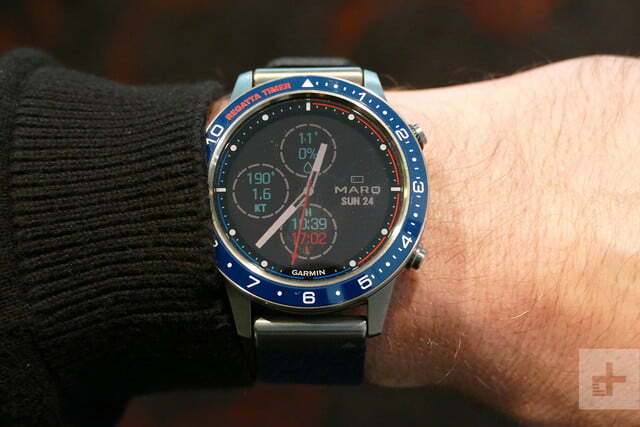 Garmin’s celebrating its 30th anniversary in style with the Marq, a series of watches centered around sports and activities the brand is best known for. 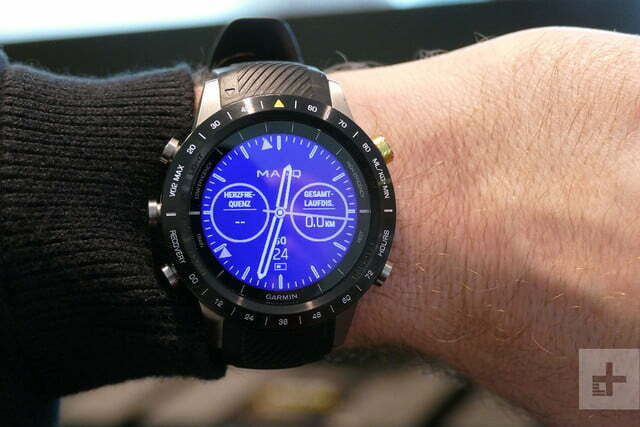 The Marq Captain is for sailors, the Marq Aviator for pilots, the Marq Driver for racing drivers, the Marq Expedition for hikers and adventurers, and finally the Marq Athlete for sportspeople. However, these aren’t watches for anyone vaguely interested in these things, and they’re not for people who may like a bit of sailing one week, and a quick hike up a mountain another week. These are serious, focused, dedicated watches for serious, focused, and dedicated people. This is emphasized in everything from the design to the features inside. 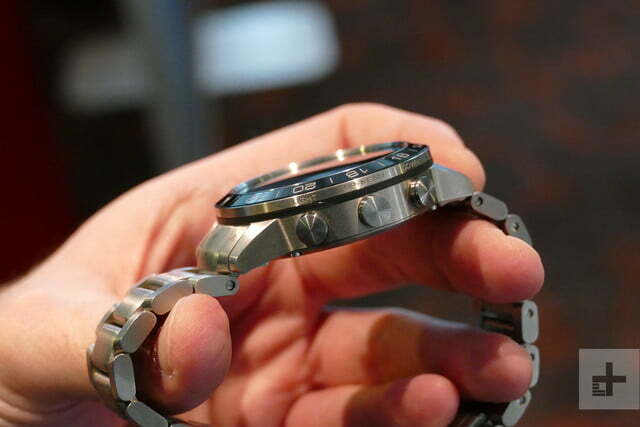 All the watches share the same basic construction and materials, but the design varies. 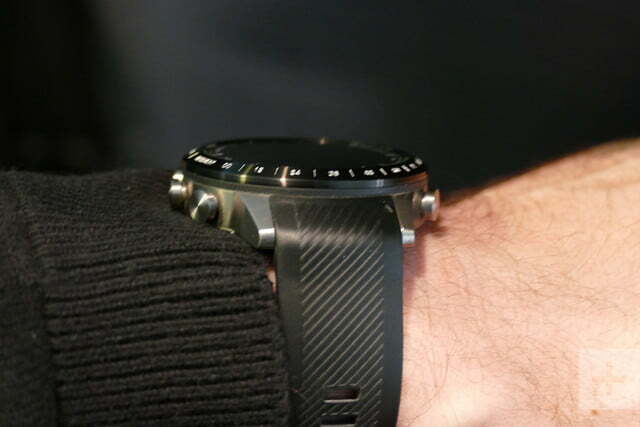 Each has a titanium case and sapphire crystal over the transflective, Memory-in-Pixel (MIP) screen, with internal technology based on the Garmin Fenix 5. Each is then tuned and modified to meet the needs of its intended owner. 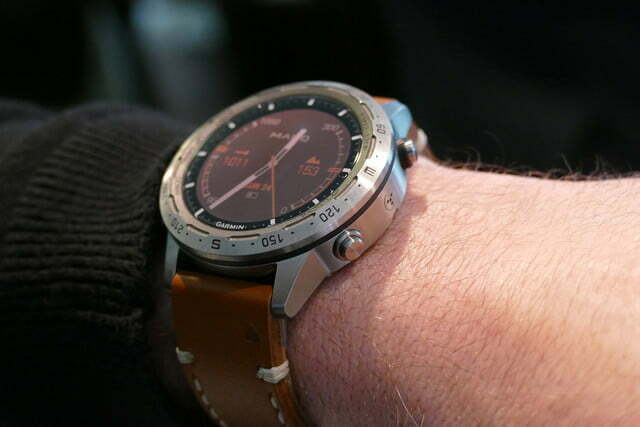 I tried each model on and was impressed with the lightweight nature and wearability of the watches, and the build quality is particularly impressive. 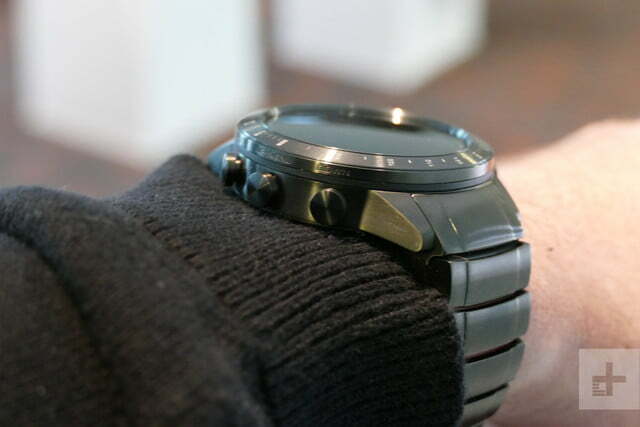 Garmin has certainly made the most out of expensive materials, and these feel like great watches. 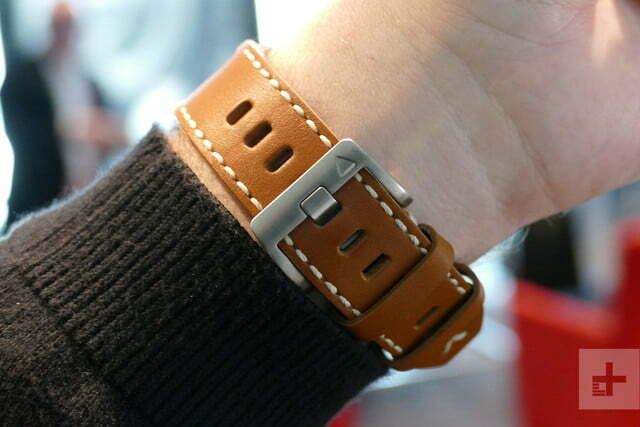 The 46mm case is nearly 15mm thick, yet the design is good enough that the overall size doesn’t feel restrictive; the carefully chosen straps kept them feeling secure. 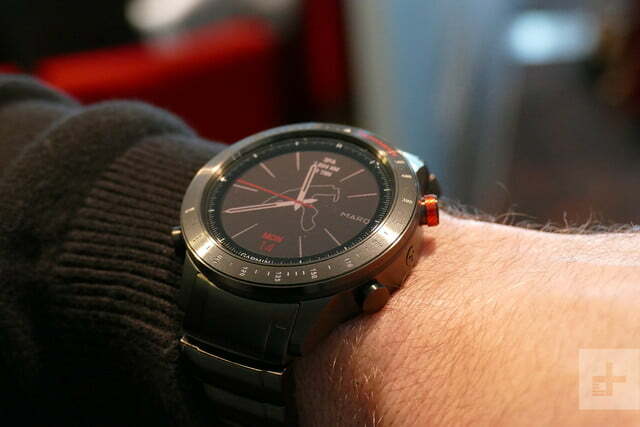 The ceramic bezel adds even more class. 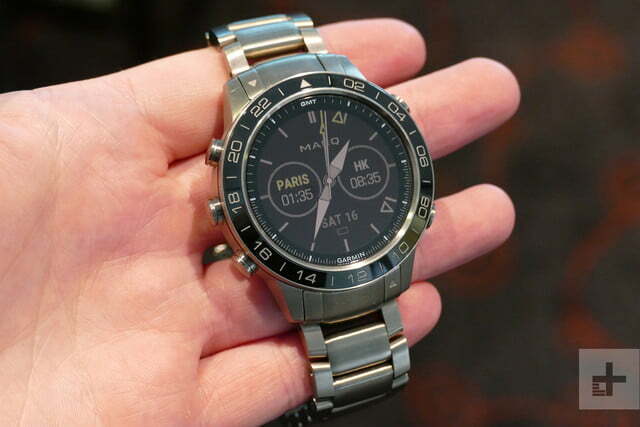 You’re going to pay quite a lot of money for any of the Marq watches, so these high quality materials are essential. These are serious, focused, dedicated watches for serious, focused, and dedicated people. 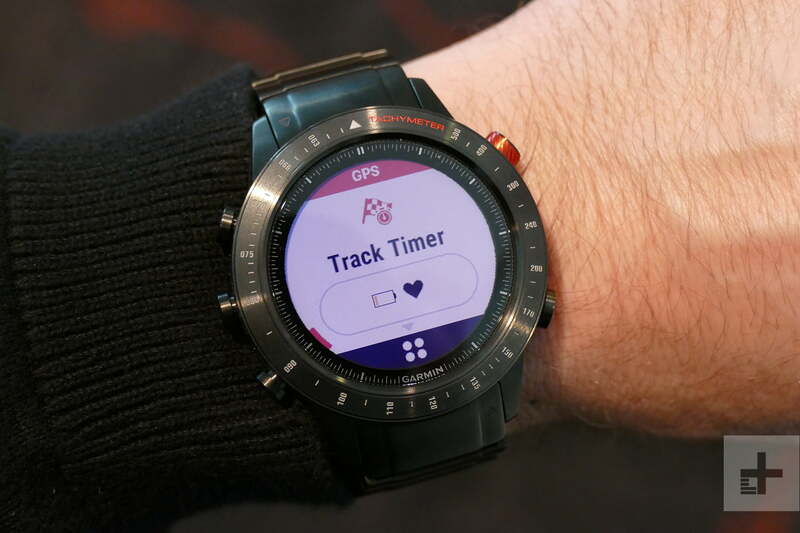 Using the Garmin Marq is an almost identical experience to using the Fenix 5, which means you have five easy-to-press buttons to control navigation and mode selection. The menus are clear, the text easy to read, and the software is fast enough. 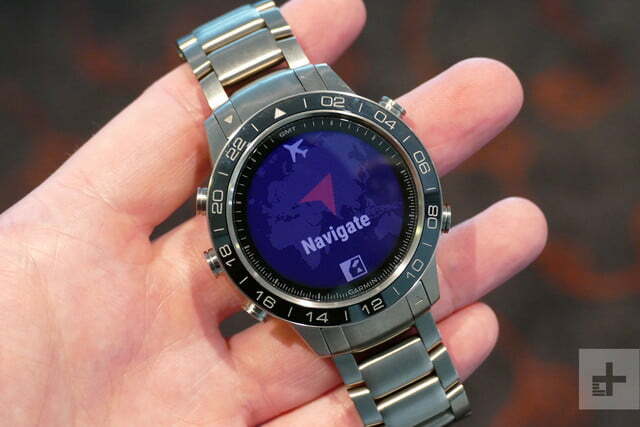 However, navigation is a little confusing at first, and less intuitive than Apple’s WatchOS or even Google’s Wear OS. The screen is the same 1.2-inch MIP panel, which looked great during our indoor test, and reacted well to challenging lighting conditions. We found the backlight wasn’t needed even in the shadows, but did not test it outdoors. The Garmin Marq features tools that will appeal to someone who is passionate about a certain activity. The Marq Athlete, for example, has improved sensors and heart rate monitor to provide incredibly accurate V02 Max readings. 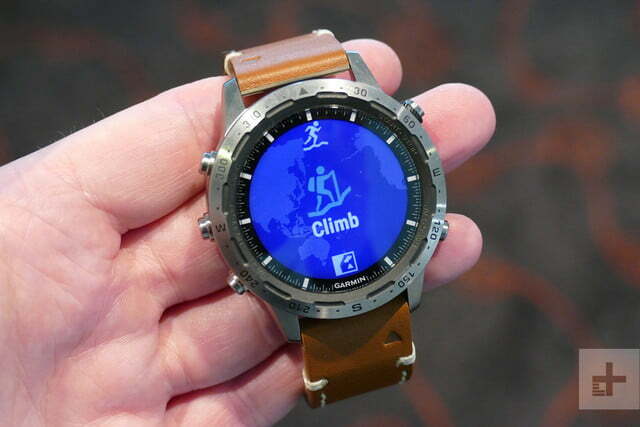 The watch face then uses arrows to point at marks on the bezel for at-a-glance readings, with the top half showing VO2 Max data, and the bottom half showing recovery time. The Garmin Marq features tools that will appeal to someone who is passionate about a certain activity. The special features across the range get even more detailed. On the Marq Driver, it has more than 200 of the world’s race tracks programmed in, and when it recognizes you’re about to drive on one, it will measure your lap times. Link it to a headset, and it’ll verbally give all the relevant data to you. 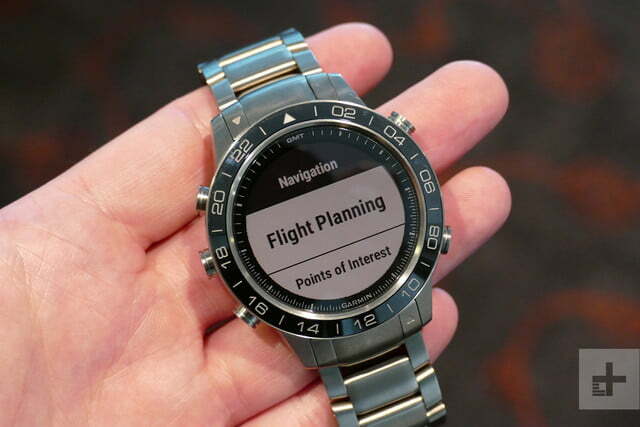 A database of the world’s airports are stored inside the Marq Aviator, ready to be called up at the touch of a button in an emergency situation; and the Marq Captain links to Garmin’s nautical equipment, acting like a wrist-worn dashboard when onboard, ready to do everything from monitor conditions to changing course. The Marq Expedition allows the use of GPS and several other features for up to 30 days without a recharge. Twelve days is the standard across the range. This is all just the start, with more features tailored to a particular activity on each watch. See what we mean about focused? Garmin knows its audience. 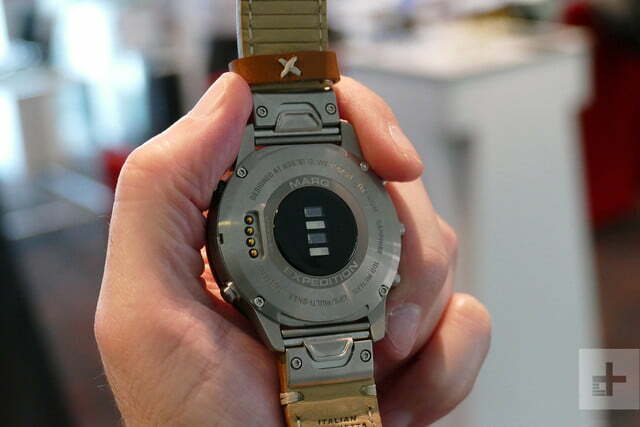 It knows consumer-grade wearables like the Apple Watch can’t get close to offering the depth of features and data needed by serious sailors or pilots, so it is offering this inside a smartwatch inspired by what it calls “tool watches” of old. 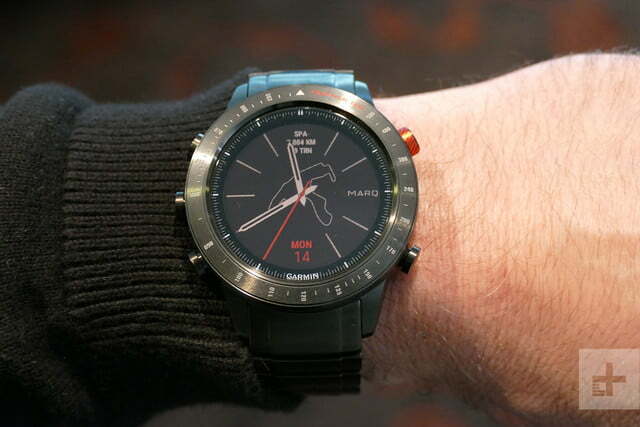 From the designs to the features, Garmin has firmly pigeon-holed the Marq’s potential buyers right from the start. What do we mean? We may often only wear chronograph or aviation watches because of the design today, but they were conceived out of a need. In 1920, if you wanted to time your lap, you used your watch. That’s how Garmin sees the Marq today — it fulfils the same type of need by integrating modern technology into a classic style. 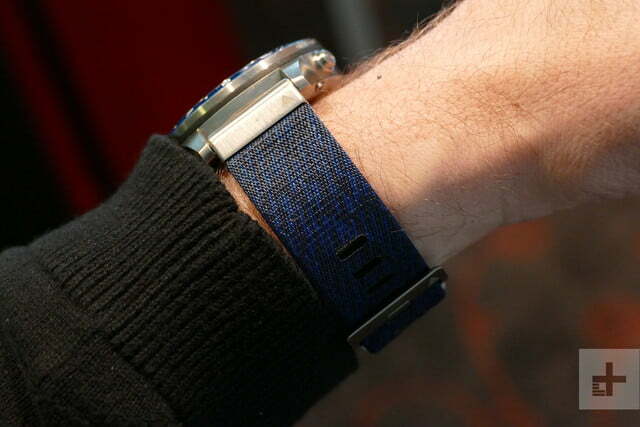 It’s obvious who the watches are aimed at, but this may also end up being a downside by proving to be restrictive. Just because I want to use the driving features on the Marq Driver, doesn’t mean I won’t lust after Aviator, for example. From the designs to the features, Garmin has firmly pigeon-holed the Marq’s potential buyers right from the start. 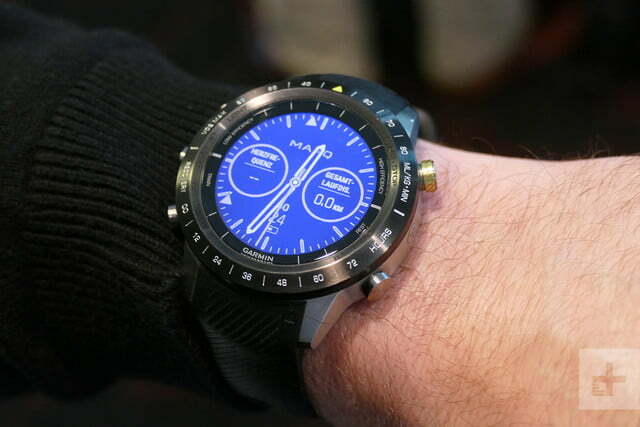 Despite the functional similarity to the cheaper Fenix 5, the Marq series are decent value. 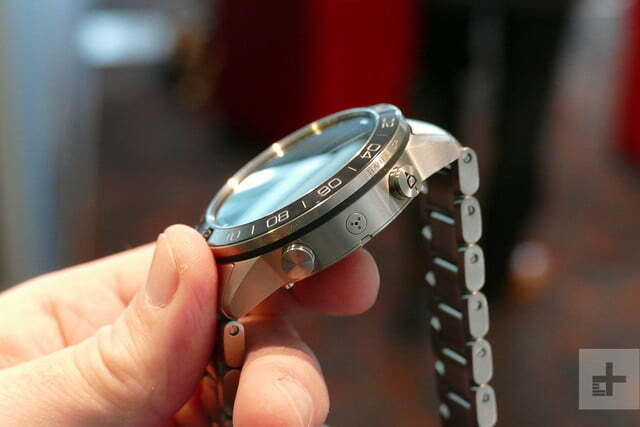 The materials are the same as you will find on expensive Wear OS watches like the Tag Heuer Connected Modular series, and the Montblanc Summit 2, both of which cost at least $1,000. 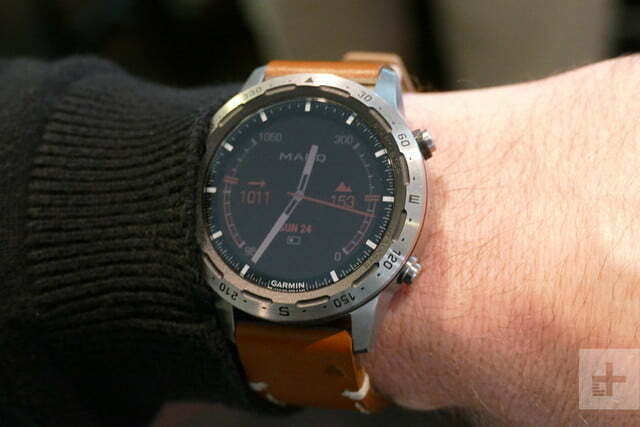 The Garmin Marq series starts at $1,500 and goes up to $2,500, and will be released in April. 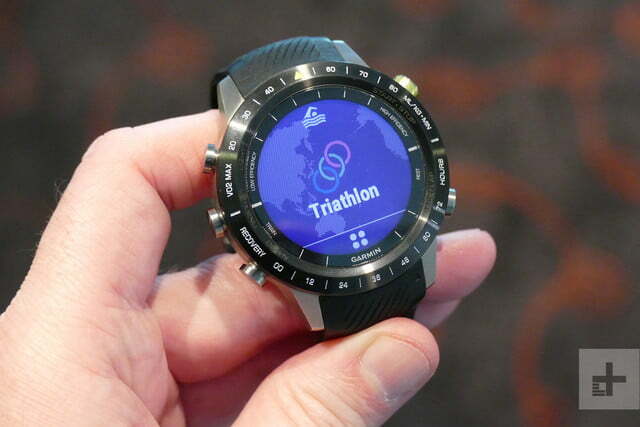 This laser focus also somewhat justifies the price too, but you’re really going to have to need the features offered to even consider buying one, and then like the design that Garmin has selected for you. 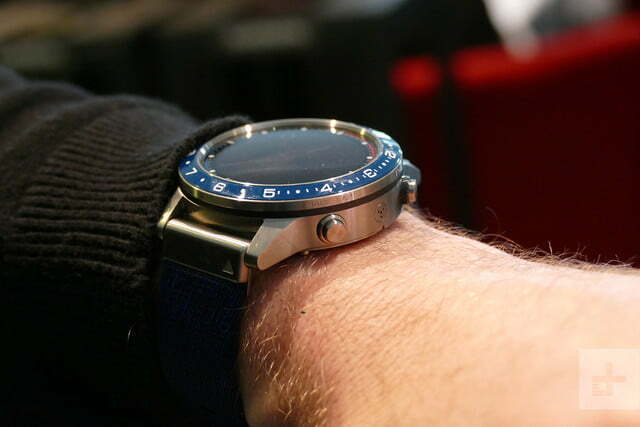 The very watch-like design really helps. 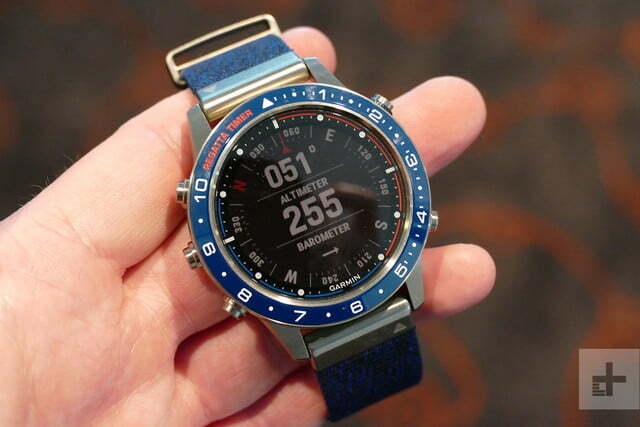 They don’t look like your standard Garmin watch, adding to the versatility and potential to wear one everyday. Just make sure you really need one, and couldn’t make do with a regular Fenix or even the Apple Watch, before splashing out.